Sign up for Broadjam today to follow Oakland Wine Drinkers Union, and be notified when they upload new stuff or update their news! Oakland Wine Drinkers Union write drinking songs for the proletariat, rowdy tales of rambling, and drunken love songs. 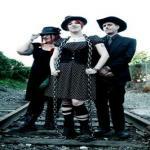 They have the swagger of punk with a hint of a country twang. They have a junk band looseness, and are brushed with the blues. 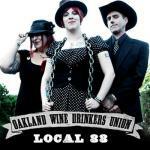 Oakland Wine Drinkers Union have something for every fighter, lover, rambler, worker, and drinker.